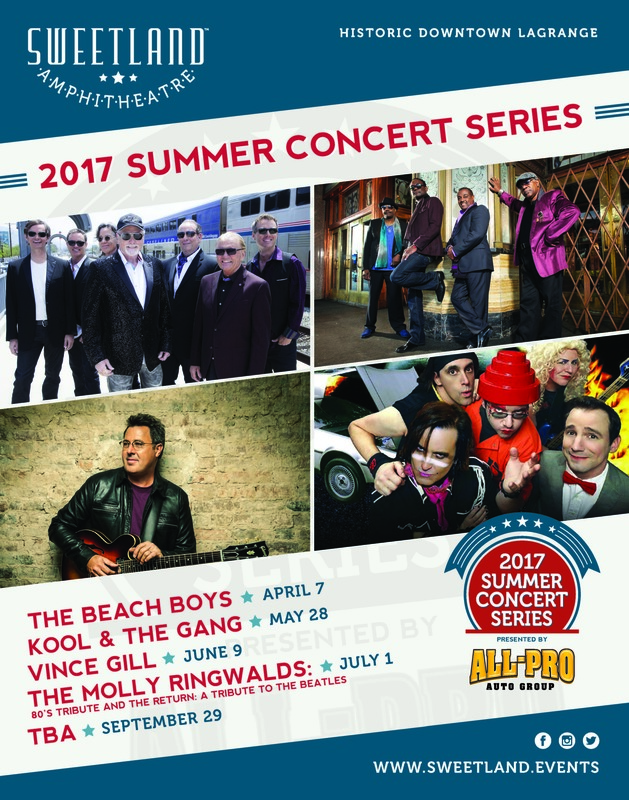 Located on 11 beautifully landscaped acres in the heart of historic downtown LaGrange, the Sweetland Amphitheatre enters its second summer concert season after a complete sell out last year. The $8M, 2,500 capacity venue offers a variety of seating options including table, fixed seats, GA lawn and terrace boxes providing patrons with an intimate concert experience against the backdrop of tall swaying pines and wide open sky. Ticket prices for each show will vary and range between $32.50 for General Admission lawn seats to $120 per VIP Orchestra Pit table seats with VIP Suite access. Season ticket renewals will begin on Friday, February 3rd at 10am. New season ticket sales will begin Friday, February 10th at 2pm and single ticket concert sales will begin Friday, February 17th at 10am. Purchase your tickets from TicketAlternative.com. In addition to the summer concert series, Sweetland will feature a variety of one-off concerts including Jason Isbell + Hiss Golden Messenger (March 31st) and Blackberry Smoke (April 28th), as well as, free community events as part of their Sunsets at Sweetland music and movie nights the first Fridays in June, July and August. Another popular event returning this year will be the 2nd Annual Sweetland Craft Beer and Music Festival on Saturday, October 21. Patrons are encouraged to sign up for the Sweetland e-Newsletter (www.sweetland.events) and be among the first to learn of important concert announcements and upcoming ticket sale dates. Where tall pines sway to the rhythm of a southern breeze, sits the “South’s Sweetest Stage” in the heart of historic downtown LaGrange, Georgia. Carved into the hillside of historic Boyd Park, Sweetland Amphitheatre provides an intimate outdoor venue for star-studded performances and community events. For more information on Sweetland Amphitheatre, visit www.sweetland.events.